Oh man! I”m very excited! Every time I’ve given out my almond bread recipe, there’s always been someone who kinda looked wistfully at it and said, yah…. but I can’t eat nuts, or can’t eat flax. Secretly, I’ve been a bit afraid of trying to attempt baking without almond flour or flax- those are my mainstays! However, ever since I started experimenting with gelatine, things have CHANGED. Wow. First, my chocolate cake got a major overhaul. Blew my socks off. Then, my friend A. said- hey- can you do this with bread? I don’t do nuts, flax or xantham gum. um. ok. (but what on earth will I use to give the bread structure?). 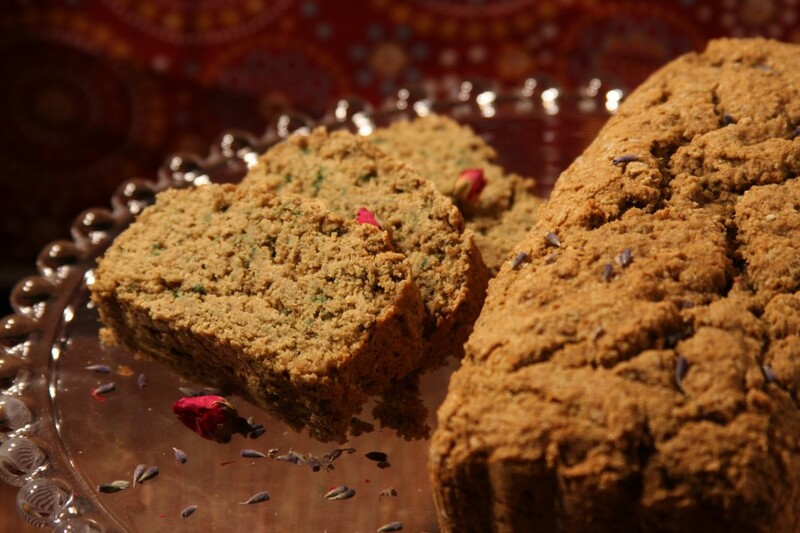 Then I found this beautiful blog, Affairs of Living, and was inspired by her Teff Sandwich Bread. I thought- hey thats IT! I’ll use seeds instead of nuts! So I played around with it, and below is the result. 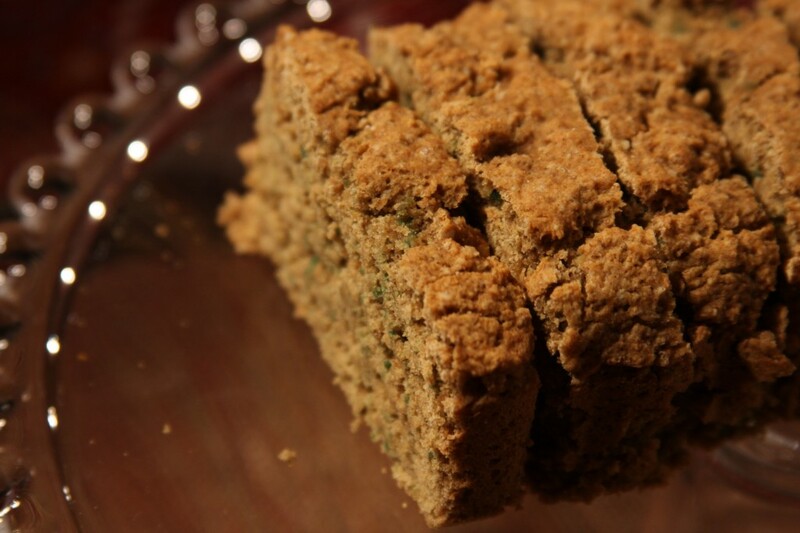 If you can handle xantham gum, do by almeans try her recipe- her bread is sturdier. Mine is great for toast, for jam, for dipping, french toast, any spreads or open face sandwich, grilled cheese if you do dairy…. and for those carb cravings. It is light, the crumb is very, very soft. If you use flax and chickpea flour or xantham gum it is much sturdier, and if you can have eggs, throw one or two in and see the difference in how it holds together. Its a bit delicate for sandwiches for now, but I’m working on it. :) Soon! In the meantime you can always use my soft tortillas for sandwiches, or chickpea nacho chips for dipping, or crunchy tortilla chips for spreads ! Flours: Using chickpea flour instead of brown rice will make it hold together a bit better, but it will be a slightly different taste and dryer. Brown rice here tastes better to me, and is lighter. 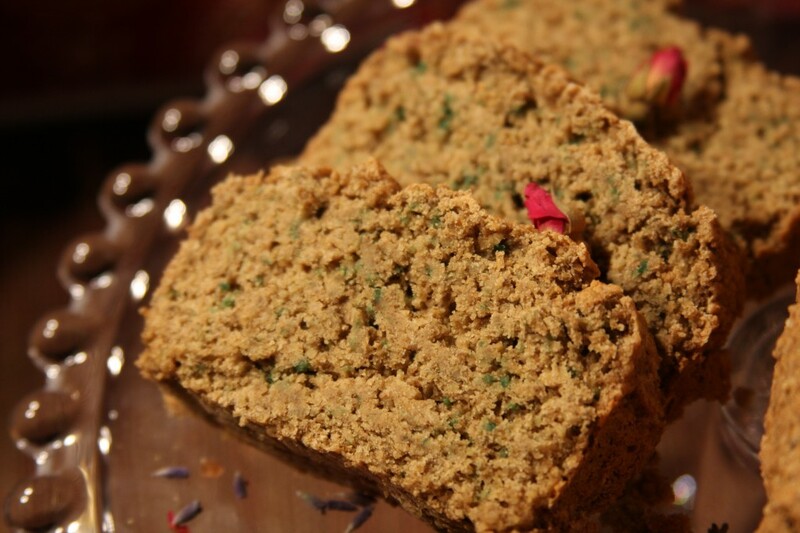 Flax: Flax seeds will hold the bread together better, but not everyone can have those, so sub in chia seeds. The original recipe uses chia, and it works, so no worries! 1- The night before, or 3 hours earlier, bring a small pot of water to boil, then add the pumpkin and sunflower seeds. Boil (blanch), the seeds for 3 minutes. Drain and dry on paper towel over night or put in the oven at low temperature on a cookie sheet for 2 hours to dry. 2- When its time to make your bread, begin with the wet ingredients first so the gelling agents can start working. Put the flax seeds or chia seeds in a coffee grinder or food processor to grind them to a powdery consistency. 3- Mix all the wet ingredients in a bowl. Let stand to soak while you put together the dry ingredients in a separate bowl. 4- Dry ingredients: put your now dry pumpkin and sunflower seeds in a blender, coffee grinder, or spice mill. Grind as finely as possible, and put in the bowl. 5- Add all the other dry ingredients. Mix thoroughly, and sift. Its ok if there are larger particles of the sunflower and pumpkin seeds, you want to make sure to eliminate baking soda clumps. 6- Go back to your wet ingredients bowl, and either use a hand blender, regular blender, or food processor to blend thoroughly and remove all clumps. 7- Make a well in the middle of your dry ingredients, and add the wet. Mix thoroughly. You’ll notice it is a stiff dough, this is normal, no worries. 8- Put in two greased bread pans (to make two smaller loaves), or in one bread pan (to make one larger loaf). Smooth the top of the dough (pat it with your fingers), and brush with a little olive oil to prevent it from getting too hard. 9- For two small loaves- cook at 350 for 30 minutes. For the larger loaf, cook for 45- 50 minutes. 11- When the bread is cooked, make sure to let it stand for 1-2 minutes, then take it out and put on a rack to cool for at least 1 WHOLE HOUR before cutting and serving. Otherwise it will crack and split. Hiya Katie- no worries! if you are not nut allergic i do have an almond flour, rice-free bread you might be intersted in? Hi Carla- Ify ou are looking for an additional substitute to gelatin, try some agar agar powder – you can usually find it cheapest at your local asian grocer- it has the same effect as gelatine, but is ‘shorter’, meaning it doesn’t rise as high and is a touch crumblier. Also, if you are doing guar gum, I believe its derived from soy (in caseyou might have soy allergies). I’m looking into fruit pectin- i,m thinking for an additional binder, you might want to remove the honey, and add in pureed prunes or an overripe mashed banana or unsweetened applesauce… please let me know how your experiments turn out! would love to hear! Wow, this sounds and looks amazing! Gelatin is supposed to be bad for food allergies, therefore, I would have to substitute the gelatin for guar gum, which is loaded with fiber. I can’t wait to experiment! Thanks for sharing!